LAPS - Expiry time is in the past, why hasn't it updated? LAPS - I've implemented this in a test lab with a view to applying in Prod. 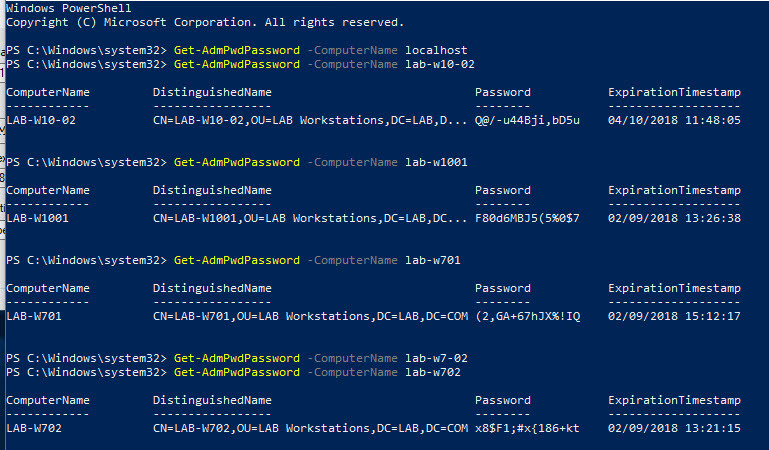 Having come to check that passwords are being changed automatically after a month, I've come across three workstations showing an expiration date of two days ago - so why hasn't that updated and how can I look for info that will help id this? I notice one has changed and it's time is set to slighly earlier for the next change so perhaps later this PM they will also change? In which case I would want to understand why there is a +2 day delay too as they were all set on the same day. 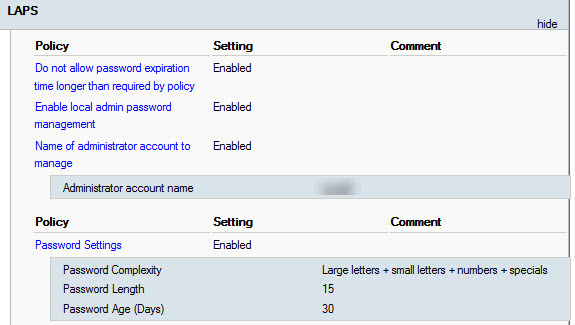 I've also included the Password Policy from the DDP - is there possibly a conflict here? You need to troubleshoot from the client. Can you post the LAP log? Hi - It turned out to be a non-issue - having logged on to the clients that seems to have brought them to life from a domain activity perspective and LAPS has now updated. This won't be a concern in Prod so I will leave this as is.